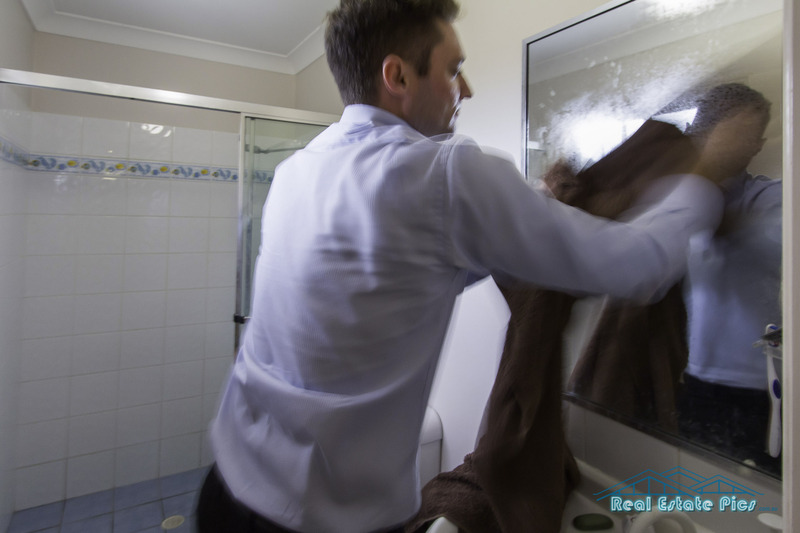 How to Find the Best and Hardest Working Real Estate Agent / Agents in Brisbane? I have seen this agent almost TRANSFORM some rental properties from virtually unshootable to pretty amazing. How? Just by tidying and moving items and clutter out of shot, room by room. Cleaning the dirty mirror for the shot ? Definitely going the extra mile….. this is the agent you want, no ? 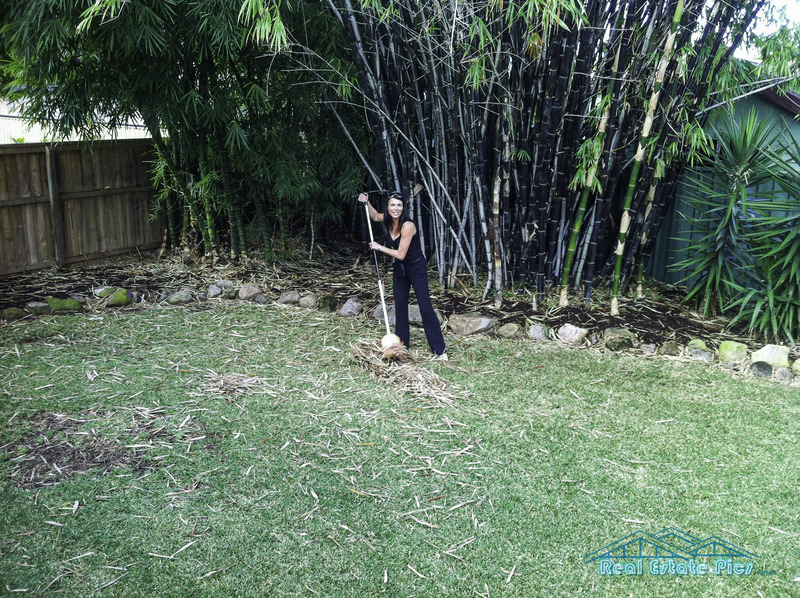 This agent didn’t hesitate in finding a rake and raking the whole back yard, so I t looked it’s best for the shoot. Definitely going the extra mile… do you want an agent like this ? 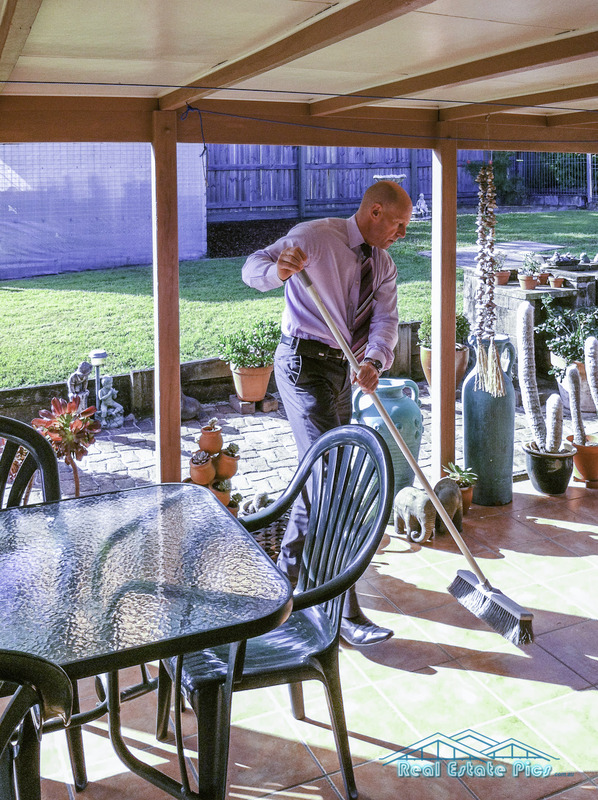 Leaves or grass on a patio can spoil an otherwise good shot – the care and attention to detail of this agent is fantastic – always going the extra mile. Don’t you want an agent like this ? 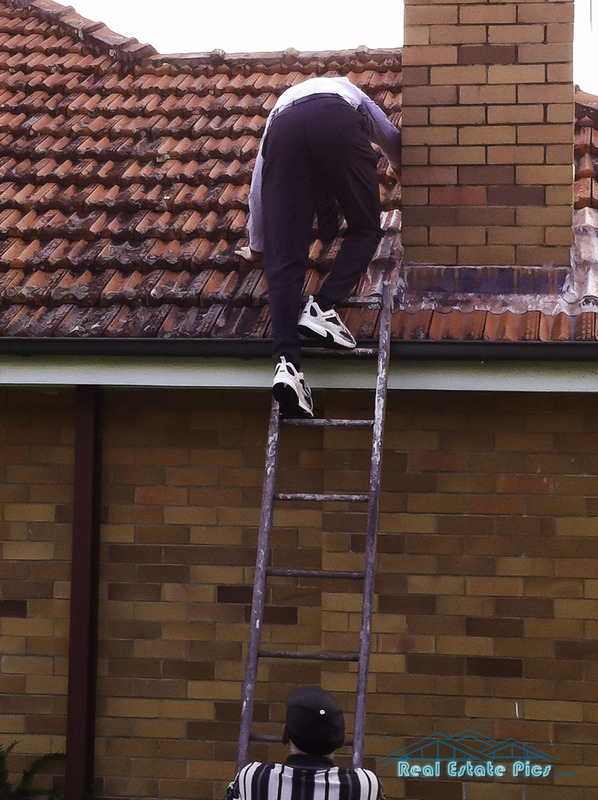 This is definitely beyond the call of duty – climbing onto the roof to check for city views – agent swaps to joggers and climbs up while the owner holds the ladder – GOLD! Amazing dedication.